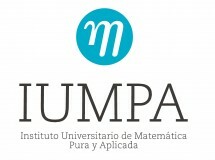 Organizers: A. Conejero (IUMPA, UPV), A. Peris (IUMPA, UPV), P.J. Miana (IUMA, UZ). Some operator families approximated by Laguerre and Hermite expansions. Lunch in the Garden Restaurant. Chaos for the hyperbolic bioheat equation. Chaotic C0 -semigroups induced by semiflows.